Made to Move Physical Therapy now accepts patients without a physician referral! Get the relief and recovery you need NOW – without a physician prescription. 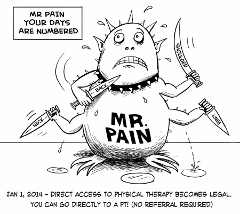 In California, patients are able to be evaluated and treated by a licensed physical therapist without first obtaining a physician’s referral under legislation called Direct Access. This immediate access to therapeutic care leads to a much higher rate of success in a timely manner for the individuals seeking services.